There are seasons when saving even a dime seems nearly impossible. We get it! Saving for the future isn’t easy, especially when you’re dealing with credit card payments, living paycheck to paycheck, and everything else life throws your way. Sometimes, the idea of saving money can feel downright intimidating. But that doesn’t mean you can’t change your future for the better now. It is possible to make saving a priority! By making a lot of intentional choices and getting your goals and priorities in the right place, you’ll be setting yourself up to save like no one else. If you aren’t telling your money where to go each month, then you’re going to be left wondering where it all went. Without a budget, there’s no plan that could guide you. Making saving a priority won’t do you much good without a budget. You need to give every dollar a name! That means if you make $3,000 a month, you need to figure out exactly how you’re going to spend $3,000 before the month begins. You can divide it however you want between giving, saving and spending, but we recommend these percentages. When you find extra money in your budget (because you cut back on things like restaurants or gadgets), don’t just hope it drifts into your 401(k) or car fund. Put it where it needs to go. If you don’t give it a home, you’ll spend it and end up scratching your head over that missing $100 you thought you had. Be intentional! Do I have competing goals? You’re funding your retirement, stashing a little away for your children’s college funds, and paying off your student loans—all while maintaining minimum payments on your credit card bills, car loans, and new bedroom furniture. Phew! That’s exhausting! And yet you’re wonder why you can’t make progress in any area. It’s because you have competing goals, friend. Don’t get caught up in trying to make progress on multiple fronts all at once. Instead, focus all of your efforts on whatever Baby Step you’re currently on. (More on this later!) If you’re still paying off debt or saving for a fully funded emergency savings, then that’s where your focus should be right now. Use visual aids to help you stay motivated to meet your savings goals. You can be as creative or as bare-bones as you want about this. The idea is just to keep your progress in front of you. That might mean printing out a simple savings thermometer and coloring it in as you progress toward meeting your goals each month. Or it might mean letting your kids put a jelly bean in a jar for every $20 you save toward your Disney trip (and eating one too). When you make your progress visual, it will feel real and give you the extra motivation you need to skip the coffee shop or work an extra shift. As long as we’re talking about jelly beans, that reminds us: don’t forget to reward yourself during your savings journey. When you hit a big savings goal, go ahead and treat yourself—within reason. You’ve done great work, and in order to keep doing it, you have to stop and celebrate the little (and big) wins along the way! Can I tell myself no? You can’t tell yourself no, so the desire to save isn’t a high enough priority to delay the purchase of that extra pizza, or smartphone, or couch. So, you spend all your dollars away or, worse yet, go into debt to buy a bunch of stuff. You do make enough to save money. But you have to be willing to quit spending it on every little thing that catches your eye. You can save money—it just has to become a big enough priority to you. All those little things can really add up. And once you start saying no to a couple of things, you’ll be surprised at how much easier it gets. What should you do with that newfound cash in your pocket? Save it, of course! And here’s how. Who can resist a challenge? For one year, you’re going to save a little bit each week. Put aside $52 the first week, then $51, then $50 and so on. Having 52 weeks in a year means there are 52 opportunities to save little by little. By the time you get to the end of the one-year mark, you’ll be down to saving just a couple bucks. And after 52 weeks, you’ll have an extra $1,378 in your savings. Not too shabby at all. Am I suffering from lifestyle inflation? After you pat yourself on the back and eat a piece of cake to celebrate your raise, pretend it never happened. We’re serious. Transfer the amount of your increase into your savings every payday. Your savings will jump up like crazy and you’ll never be any the wiser for it. To save a little more, try letting your bank help you out. Plenty of banks will round your purchases up to the nearest dollar amount and toss the difference into your savings. How easy is that? You’ll never even miss that 62 cents, and your savings will gobble it up—no questions asked. If that isn’t your cup of tea, just set up an automatic transfer from your checking to savings each month. Just think of it as future you sending a bill in the here and now. Believe us, it’ll be the best bill you’ll ever pay. 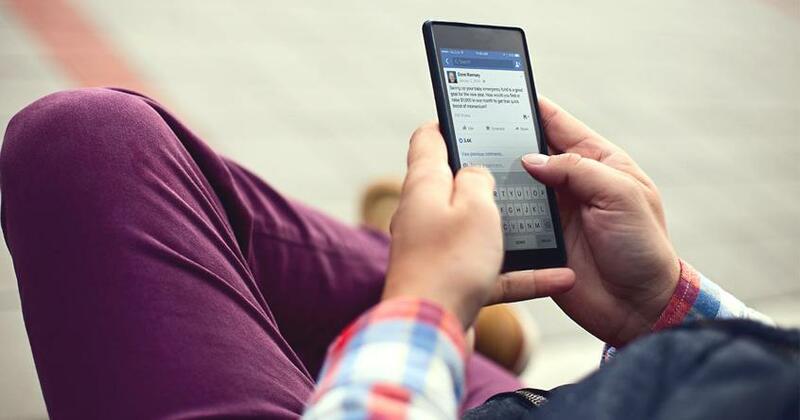 By now, you’re probably feeling like you’ve been doing everything wrong. And maybe you’re hoping for a step-by-step plan to help you get started. Don’t worry, we’ve got you covered! So, Where Does Saving Fall in the Baby Steps? Your future is directly impacted by what you do in the present. Too often, people make the excuse that they “just don’t make enough money” to save. But you can save! You just need to take control of your money with a proven plan first. If you’re in debt, you’re very first plan of action needs to be saving up an emergency fund—yes, even before you start paying down your debt! We call this Baby Step 1. It’s where you scrape by, tighten up the budget, and pile up $1,000 as fast as you can. Once you’ve done that, you move on to Baby Step 2 and attack all your debt! Are you with us so far? Okay, great! Now here’s where some people get tripped up: while you’re paying off your debt, you need to stop saving toward the future. This means pausing things like your 401(k) retirement contributions, little Junior’s college savings, investing in mutual funds, and beefing up your own savings account. We know that’s not exactly a popular school of thought. But if you follow what’s popular, you’ll still be paying off your student loans when you hit retirement! And we don’t want that for you. So here’s the deal. You need all of your momentum, energy and money going toward your goal of becoming debt-free. If you have five different goals you’re trying to manage at once, you’re watering down the impact you could be making and delaying your eventual success. But don’t get confused. You should still save up to make purchases for things you’ll need. We call these “sinking funds.” You know Christmas is in December, so start a sinking fund early in the year to save up for it. So saving up for specific purchases is fine, just make sure you aren’t funneling money to your 401(k) until you’re debt-free. Baby Step 3 and Beyond! Once you’ve paid off every debt except your home mortgage, you can start beefing up your emergency savings and breathing a little sigh of relief. But don’t take your foot off the gas yet! Sit down and figure out how much you and your family would need to cover three to six months of expenses. This will be the amount you need to stash away in your fully funded emergency fund (Baby Step 3). When you reach that magical number in your savings account, congratulations! You’ve hit Baby Step 4 and can relax as you begin to build wealth. Now is the time to start investing 15% of your income into retirement. At this point, you can also start working Baby Step 5 (saving for college) and Baby Step 6 (paying off your home) all at the same time. Remember all that money you were using to attack your debt? Now you’re using it to save for your future! It’s not always easy to save money. 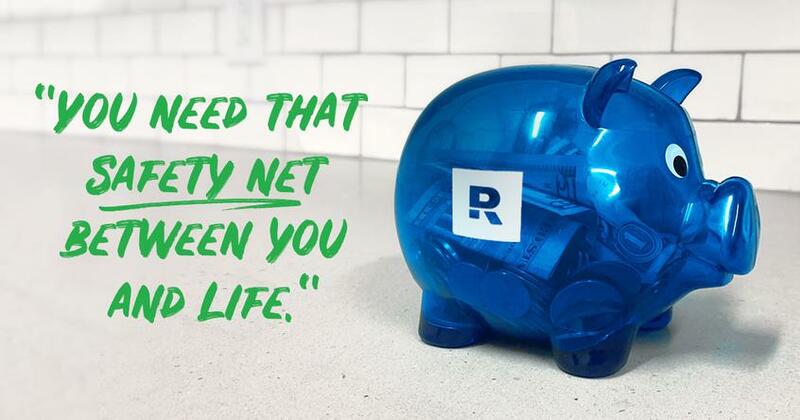 But saving for the future today means you’re that much closer to reaching your money goals tomorrow. It just requires making a zero-based budget each month and staying motivated along the way! If it’s a struggle to find the money to pay for your family’s wants and needs right now, you can always make adjustments in the budget (do you really need that expensive cable package?) and take on side jobs to ramp up your income. 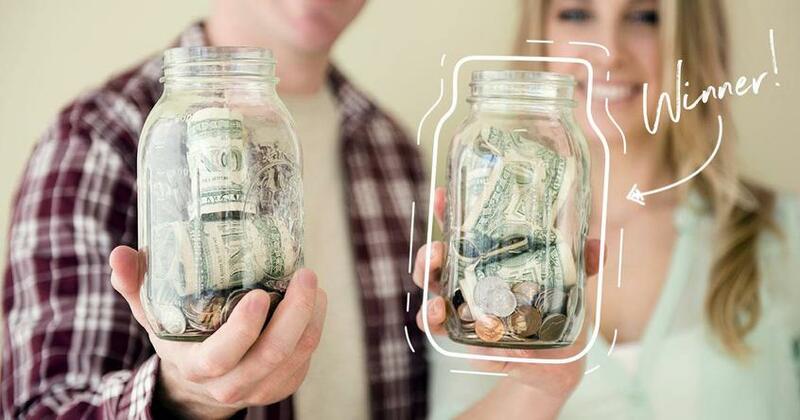 These momentary sacrifices like living on less will be nothing compared to the thrill of paying for your next car with cash, watching your emergency fund grow, or kicking your retirement up a few notches. Your ability to save for the future is only limited by your determination. Believe in yourself, stick to the budget, and don’t listen to that negative voice in your head. You’ve got this! 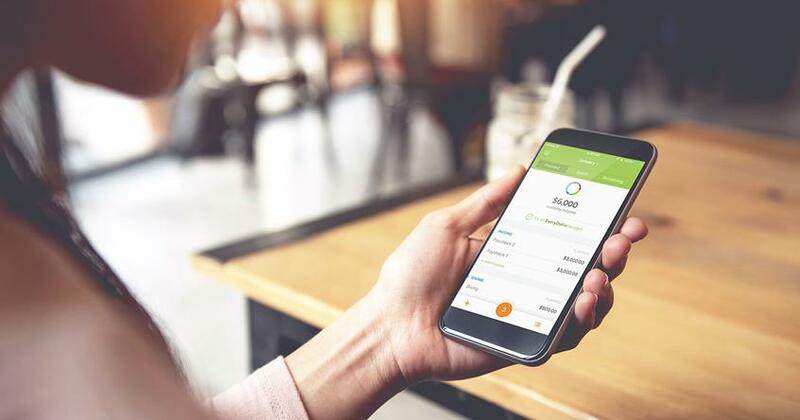 Even if you’ve never done a budget before, our free budgeting app EveryDollar makes it super easy to get started on your savings goals. 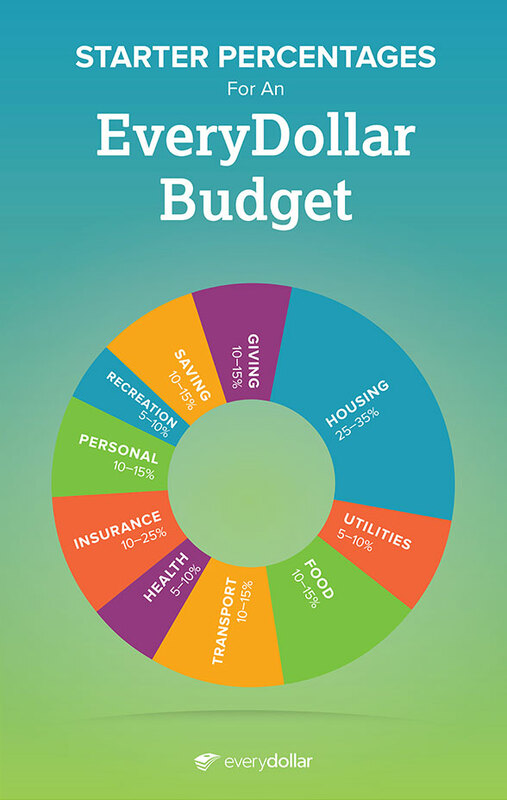 Create your first budget in 10 minutes so you can start tracking your savings today!